Maria Ferrario has been appointed as the Head Coach of the Royal Akarana Yacht Club Sailing Academy. 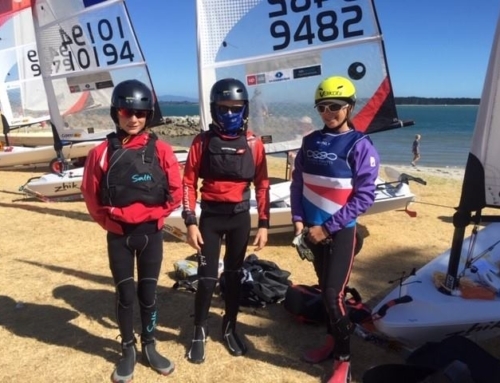 Maria has had a successful international sailing and coaching career which includes one of her Canadian Optimist sailors winning the Canadian Optimist National Championship. 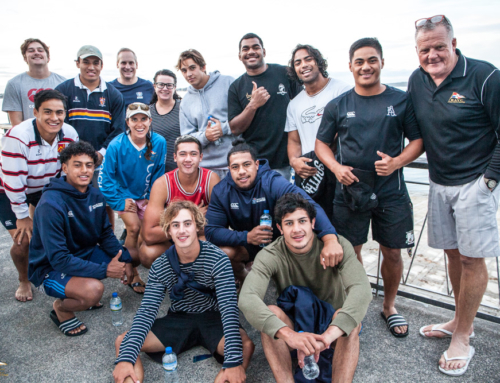 After travelling the world coaching including jobs in Argentina, Bermuda, USA, Chile, Dominican Republic and Canada, Maria is no stranger to New Zealand sailing having previously held positions as Head Coach at the Tauranga Yacht & Power Boat Club and coaching the Yachting New Zealand Have A Go Program. “What I like most about sailing are all the new skills I learn every day I go to the water, the challenging conditions and to be able to travel and sail in different parts of the world. “Racing is one of the things I enjoy the most and meeting so many wonderful people and making friends is a big part of it. Sailing is my families sport so I also enjoy going sailing and racing with my siblings and parents,” said Maria. What attracted Maria to the Royal Akarana Yacht Club was the highly successful academy which has increased in size over the last few years. Maria is passionate about both racing and having fun, and was drawn to the Akarana concept of “pathways to the sea”. “The Akarana Sailing Academy is also developing a strong Laser program with a large fleet of brand new club Lasers, as well as running a very busy sailing season for several hundred sailors. It is something that I really want to be part of and I am looking forward to coming back from my race coaching in Canada to start with this exciting opportunity,” said Maria. Please join us in welcoming Maria to the club. Congratulations Maria!!!. Besides being an excellent coach, you are a great person. You were trainer of my daughter Mercedes in the 2012 Laser Youth World Championship. Thank you Juan! I just read this message. Well, now you and Mercedes need to came and visit me and race Laser in New Zealand. Will be waiting for you. There are many lasers here to uso and great international regattas here to compete.